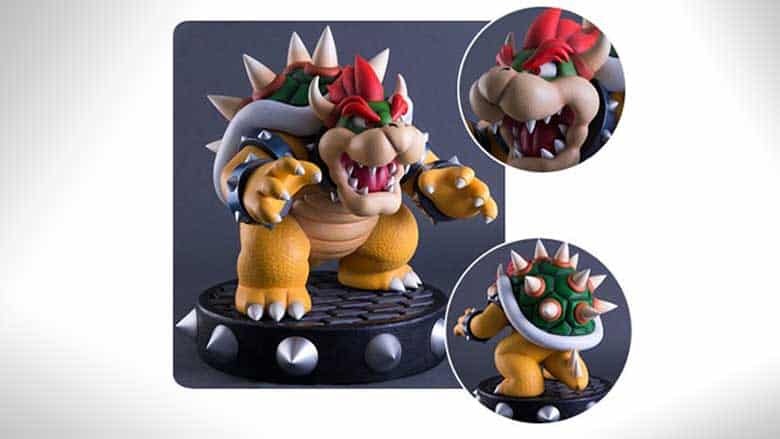 This Bowser Statue by First 4 Figures is $700 | Nerd Much? Really Cool Expensive Stuff, Indeed. There’s no denying that Super Mario Odyssey was one of the biggest video game releases of 2017, and it’s widely regarded as one of the best Mario games to date (in fact, many Nintendo fans waited until its release to pick up a Nintendo Switch). With the Mario being at its most popular right now, First 4 Figures wanted to capitalize on the excitement by introducing a ridiculously awesome (and expensive) new Super Mario Bros. Bowser Statue. The statue comes in at a whopping $700, but it is easily the biggest and most detailed Bowser statue we’ve seen to date. It measures in at 21-inches wide x 19-inches tall x 19-inches long, and it weighs a whopping 44 pounds. So, you know, you probably shouldn’t plan to put it on a bookshelf. He’ll tower over the rest of your collection. So, what makes this Bowser statue worth $700? Well, its size is the biggest selling-point, but it also helps that the massive statue is crafted from high-quality polystone and hand painted by an expert-level painter. The details on this thing are INCREDIBLE — you can even see texture on King Koopa’s skin. It’s based on the design from New Super Mario Bros., and it’s the perfect gift for any Mario fan in your life. Of course, its quality would never be called into question with a company like First 4 Figures, which is making a name for itself in the high-end video game statue business. Hopefully, they’ll venture into some Super Mario Odyssey designs in the near future because we can’t wait to see some high-end Mario wedding statues to drool over. For more ridiculously cool nerd stuff, stay tuned to our Instagram for the latest. Pre-order the Bowser Statue here.